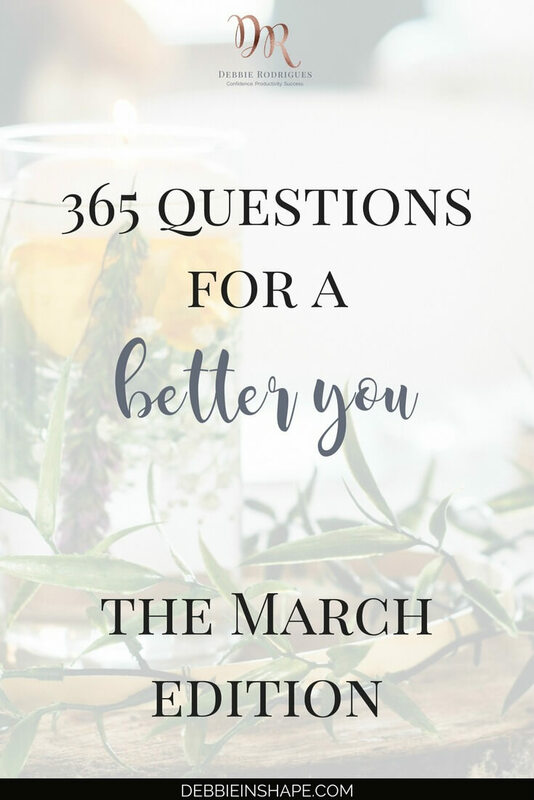 It’s time to wrap up the quarter with the 365 Questions For A Better You the March edition. Your daily break for inspiration, relaxation, and self-discovery. 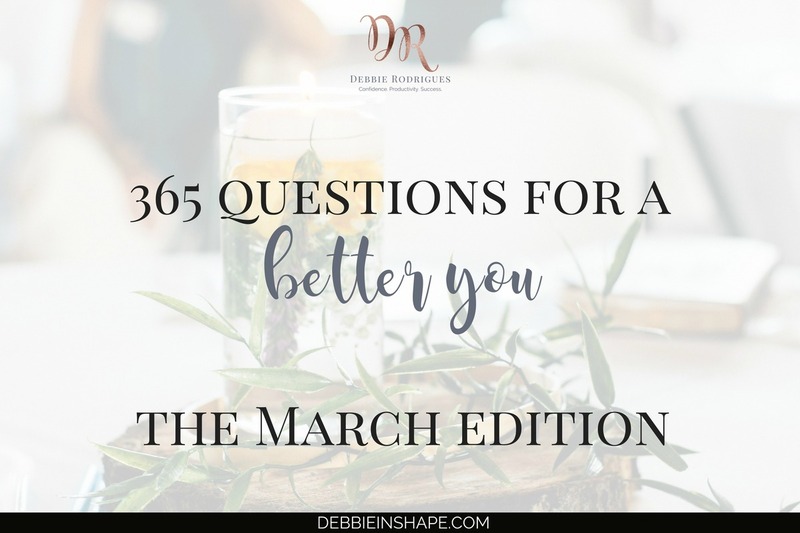 And we’re already at the 365 Questions For A Better You the March edition. Time passes so fast, doesn’t it? That’s why it’s so important to take a short break from the madness out there to reflect. It doesn’t always have to be a breakthrough. “Miracles” can happen simply by looking up to the sky. On the dictionary seriousness and sternness are synonyms. But it doesn’t apply to the 365 Questions For A Better You. Yet, one of the things I made sure to include was light and, why not, fun prompts too. I tend to be very hard on myself. Perfectionism is something I’m still learning to let go one day at a time. That’s why it’s so meaningful to me to include relaxing questions such as “What’s your favorite color?”, for example. Having fun is great for stress relief and works wonders for our confidence. 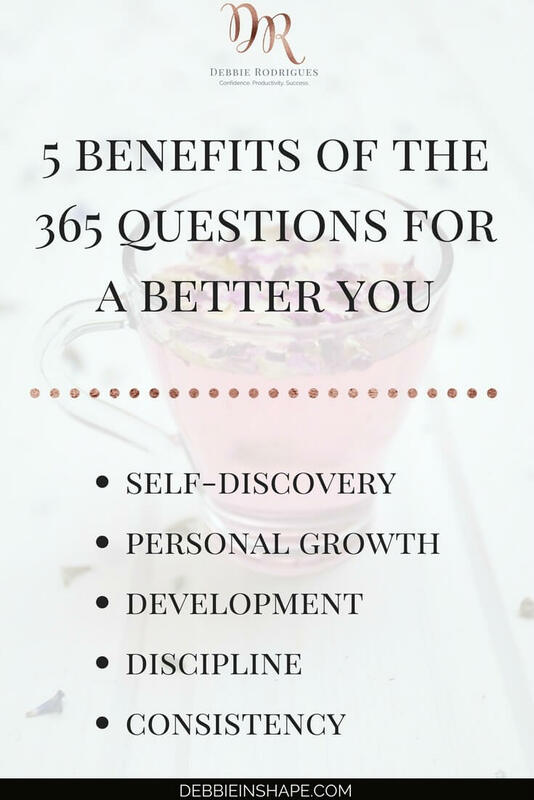 This is the third post related to the 365 Questions For A Better You challenge. 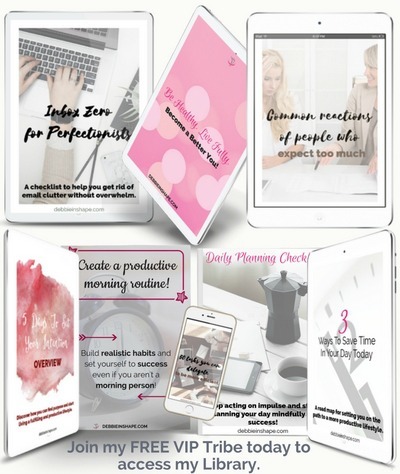 You can check the prompts of January and February on the blog. 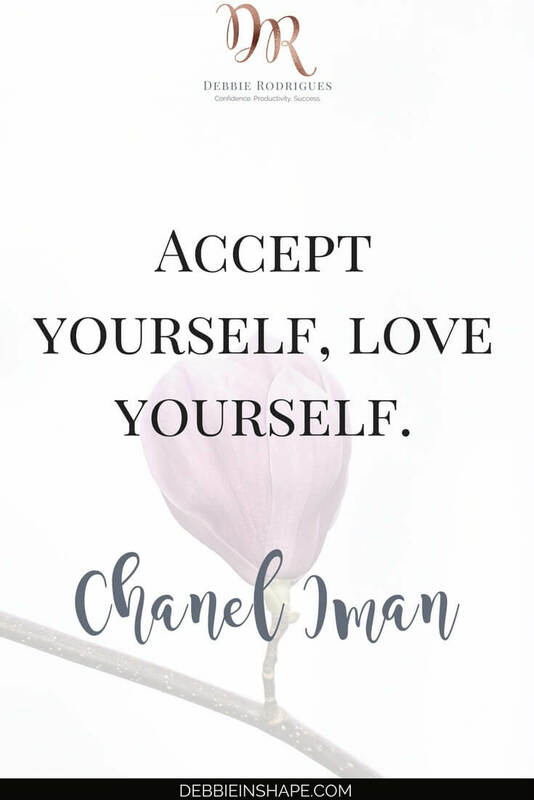 And, if you join my FREE VIP Tribe, you can access the monthly lists too. I also post the prompts on a daily basis on my coaching Instagram handle. But, it’s on the Facebook Group #PlanWithDebbie where you’ll find most participants. Remember that you don’t have to share your responses if you don’t want to. However, accountability is an excellent way to stay on track. 60. Your word of the year. 61. What good habit do you want to develop? 62. An unforgettable moment from your childhood. 63. If you could meet someone from the past, who would be? 64. Last picture you took. 65. What book do you always recommend? 66. What appliance you can’t leave without? 67. At what place you’d like to be a regular? 68. The hardest challenge you have overcome. 70. Describe yourself in one word. 71. What did you have for dinner last night? 72. Morning person or night owl? 73. Favorite place to go to relax. 74. What’s your favorite color? 75. What do you do to relieve stress? 76. How do you plan your day? 77. How do you generally feel in the morning? 78. What makes you skip meals sometimes? 79. What’s the tone/music of your alarm clock? 80. Last criticism you received and what did you do about it? 81. How many hours did you sleep last night? 82. How do you feel when you look at the sky? 83. What’s your favorite holiday? 84. How would you describe your teen years? 85. Is minimalism something for you? 86. How do people close to you define you? 87. How do you feel when you have to speak to a large audience? 88. Who do you see when you look into the mirror? 89. Is the glass half empty or half full? 90. What’s the first thing you do when you wake up? When do you prefer to write in your journal, in the morning or in the evening?